A quick scroll through the menu takes you to the video camera. Then you’re ready to record video in portrait or landscape — perfect for emailing or posting on Facebook or MobileMe. A built-in mic lets you capture audio, too. 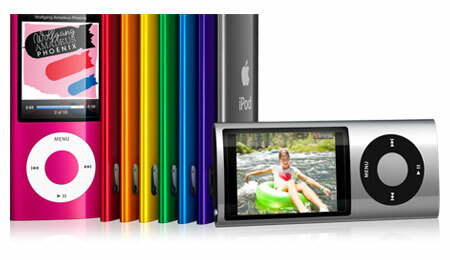 And when you play back your video on iPod nano, you’ll hear the recorded audio with it. All of which means your indispensable music player is now your indispensable video camera. You take your iPod nano with you everywhere. Why not use it to stay fit? 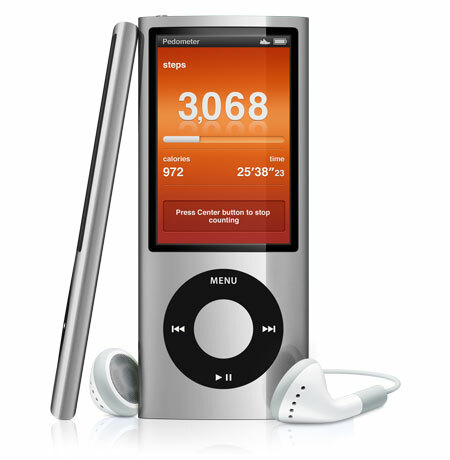 iPod nano now doubles as a Pedometer. It uses the built-in accelerometer to keep track of your steps and help you meet your fitness goals. You can create a daily step goal or set it to Always On so it counts all the steps you take, all the time. 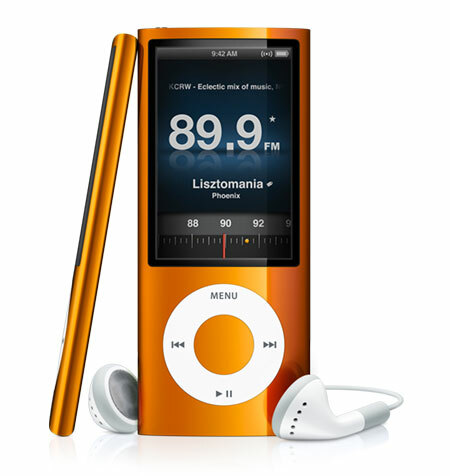 Which makes iPod nano the ideal exercise partner. There’s always something great on the FM dial. And now the FM tuner lets you hear your favorite morning shows on your commute and discover new music while you work out.With Live Pause, you’ll never miss a beat. Say you need to take a quick break from listening to your favorite radio station. 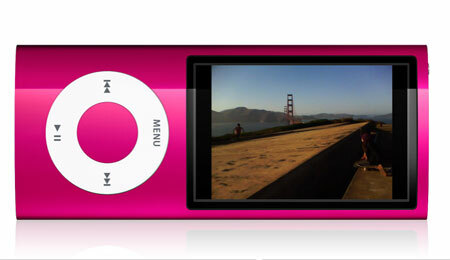 iPod nano lets you pause it with a click. Another click and you’re listening to your station again. You can even rewind as far back as 15 minutes, then fast-forward to catch up to the live broadcast.